CASTIEL: You really think it's wise to be drinking on the job? DEAN: What show you been watching? **Yes, you need to be watching. You know who you are. You're late to the party but there's still plenty of time. The CW's Supernatural just wrapped up its eighth season bringing the episode count to an impressive 172. That's quite an achievement for a show that faced cancellation after low second season ratings. Since that uncertain time Supernatural has only continued to grow more confident, maturing and even reinventing itself. While the overall story arc of two monster hunting brothers from Lawrence Kansas has remained the same, it's the amazing amount of permutations and detailed world-building of the mythology the writers have been able to consistently pull off that has kept the show vibrant and a loyal legion of fans coming back for more. shotgun shuts his cake hole." There's a real energy in the Midwest to miles and miles of flat farmland and two-lane blacktops that stretches into infinity and you're jamming classic rock as loud as it can go. There's something so mythic, so American about that, and that's the energy I wanted the show to have. "Carry On My Wayward Son" by the band Kansas has become the show's signature theme song, the lyrics of which only become more relevant with each passing season. and a chrome grill to die for! 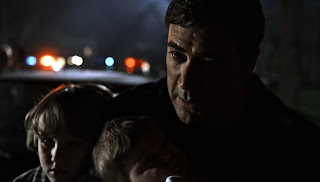 When he began writing Supernatural, Kripke imagined a modern, urban Western of two heroes who would arrive in town, defeat the villain, kiss the girl and ride out again (except they wouldn't be on horseback, but driving a muscle car and the villains wouldn't be bankrobbers but all sorts of monster ripped from the lore of urban legends). 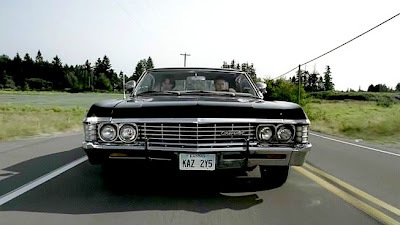 The muscle car became the iconic '67 Chevy Impala and the monsters would eventually include Archangels, Lucifer and even Death himself, but that original simple formula of two brothers saving people one job at a time driving across America in their trusted "steed" still stands. Pilot - "Dad's on a hunting trip. And he hasn't been home in a few days." "Dad's on a hunting trip. And he hasn't been home in a few days." Turns out "hunting trip" isn't referring to moose or deer, but The Woman In White. This will be the first supernatural case we see the boys work, but as the show progresses, we learn they have been doing this since they were kids with a father -- John Winchester -- who has trained the brothers like soldiers to fight in a war against creatures that the rest of the world dismisses as fairy tales. 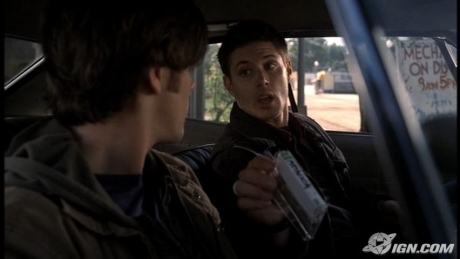 SAM: When I told Dad I was scared of the thing in my closet, he gave me a .45. SAM: I was nine years old! He was supposed to say, don't be afraid of the dark. 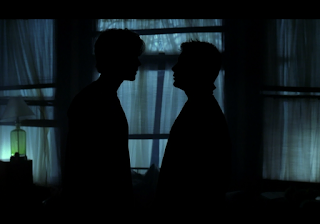 DEAN: Don't be afraid of the dark? Are you kidding me? Of course you should be afraid of the dark. You know what's out there. John's obsessed to find and destroy the demon who killed his wife and robbed his sons of their mother when they were just children. Sam is the young, defiant one who wants to rebel against his father's way of life and flees to Standford. Dean is the eldest, obedient son, loyal to a fault. John's disappearance will bring the brothers back together in an uneasy alliance of "saving people, hunting things, the family business." 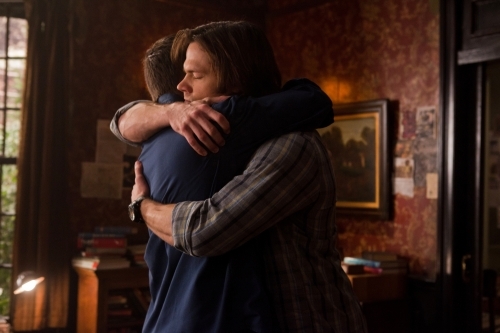 But me, I'd say this was a test... for Sam and Dean. And I think they did all right. Up against good, evil, angels, devils, destiny, and God himself, they made their own choice. They chose family. And, well... isn't that kinda the whole point? Barring a few exceptions and some Apocalyspe-fatigue, the first five seasons of Supernatural represent outstanding storytelling. There is a cohesiveness and a momentum that hurtles along with a clear vision and end point in sight. This is because these five seasons represent Kripke's original story arc. Season 5's finale - "Swan Song" - is a triumphant culmination of back story, character development, and mythology, a rousing chorus that bleeds final destination. 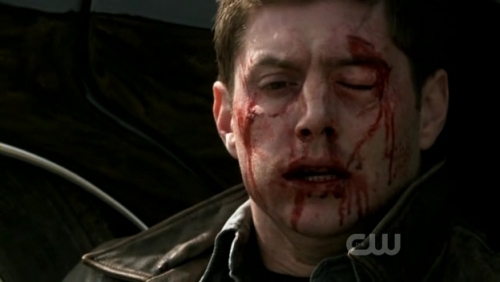 Only because of its renewal for a sixth season did Kripke have to add one of his infamous Supernatural finale cliffhangers. 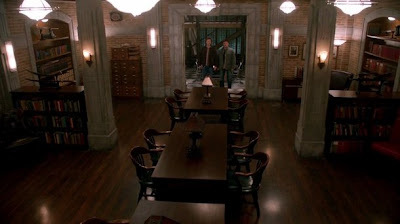 Supernatural has always struck a great balance between heavy, story arc shows and stand alone episodes that find the scary as well as the uproariously funny. For me, Supernatural has been one long road trip across America, with kickass music on the stereo. Bearing witness to the grueling battles and heartbreaking losses has bonded me to these characters like no other television experience. I feel like I've been to war too. And I'm not ready for it to be over yet, not even close. Some mild spoilery things follow after the jump. Following the conclusion of Kripke's original arc, Supernatural writers and producers have had to dig deep to not only keep the storyline interesting and fresh, but to keep the brotherly bond between Sam and Dean sincere and convincing. There's been souls lost and found (namely Sam's), a few trips to Purgatory, some nasty Leviathans and Eve - the mother of all (monsters that is). After a rough and uneven start with Jeremy Carver showrunning, Season 8 finds its footing when fans are introduced to the Men of Letters -- if Hunters represent 'the brawn' of the fight against the supernatural, the Men of Letters existed as a secret society representing 'the brains'. They left behind a magnificently constructed underground bunker, its walls lined with books and shelves and filing cabinets filled with all the knowledge to combat and defeat the dark. The Bunker brings us back to Kansas -- Lebanon this time -- and there's a symmetry to that and a nod to the show's roots that pleases me muchly. Lebanon is also known as the geographic center of the continental US -- and that also feels right that the boys should be here. "Sammy, I think we found the Bat Cave"
Upon first entering the Bunker, Dean announces: "Sammy, I think we found the Bat Cave." After years of sleeping in skeevy motel rooms and eating bad roadside food, the Winchesters finally have a place to lay their weary heads. While the Impala has always been "home", it was time for the boys to get a bat cave of their very own, something totally Winchester worthy, and this is it. Sam is able to resurrect his academic desires from Season 1 and is surrounded by more books than he could possibly study in a lifetime. Dean is nesting, using the kitchen to cook real meals, decorating his bedroom and buying a memory foam mattress ("It remembers me," he explains to Sam). This is Dean's version of "settling down and making a home", a need he's always carried within him but that normal suburban life on the outside could not fulfill. At last the Winchesters have an impenetrable refuge in which to research and plan, rest and recharge, and this can only make them stronger for the next round of battles they will have to face. I hope no one is sick of Angels yet, because watching them plummet out of the sky like that was one of the most beautiful, awe-inspiring sights I've seen on the show to date. It absolutely stole my breath. Thanks! I kept it totally professional, and my DeanGirl biases in check. 02-02-17 just read tonight. An awesome love letter by another real SPN fan.